Satyendra Nath Bose – Indian physicist. 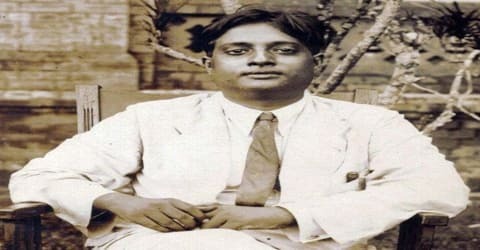 Satyendra Nath Bose, an Indian mathematician, and physicist noted for his collaboration with Albert Einstein in developing a theory regarding the gaslike qualities of electromagnetic radiation, born on January 1, 1894, in Calcutta, India. He is best known for his work on quantum mechanics in the early 1920s, providing the foundation for Bose-Einstein statistics and the theory of the Bose-Einstein condensate. A Fellow of the Royal Society, he was awarded India’s second highest civilian award, the Padma Vibhushan in 1954 by the Government of India. Bose studied science at the Presidency College, Calcutta, where he had the fortune to be taught by illustrious teachers like Jagadish Chandra Bose and Prafulla Chandra Ray. He became a research scholar at a time when new discoveries were being made in the field of physics. Quantum theory and related concepts were creating a stir in the scientific community and Bose did some important work in this field, particularly on the Planck’s black body radiation law. 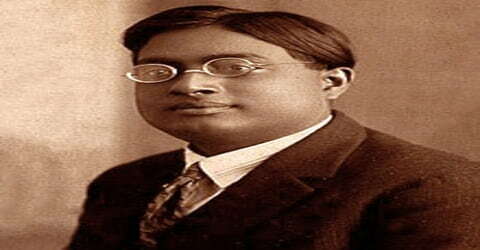 He sent his work to Albert Einstein who recognized the significance of the Indian scientist’s findings and soon collaborated with him to work on certain important ideas that formed the basis for Bose-Einstein statistics. Bose was a polyglot and also had varied interests in diversified fields, such as philosophy, arts, and music. A self-taught scholar and a polymath, he had a wide range of interests in varied fields including physics, mathematics, chemistry, biology, mineralogy, philosophy, arts, literature, and music. He served on many research and development committees in sovereign India. Satyendra Nath Bose was born into a middle-class family on January 1, 1894, in British India’s capital city, Calcutta, Bengal Presidency. Today the city is known as Kolkata, located in the Indian state of West Bengal. 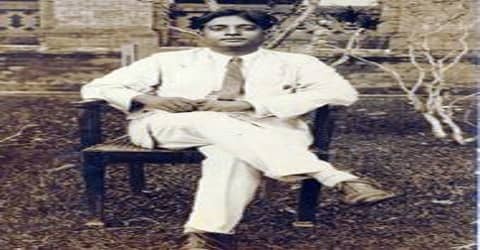 He was the eldest child of Surendranath Bose, a former accountant who worked for the East Indian Railways. He had six younger sisters. His schooling began at the age of five, near his home. When his family moved to Goabagan, he was admitted into the New Indian School. In the final year of school, he was admitted into the Hindu School. He passed his entrance examination (matriculation) in 1909 and stood fifth in the order of merit. He next joined the intermediate science course at the Presidency College, Calcutta, where his teachers included Jagadish Chandra Bose, Sarada Prasanna Das, and Prafulla Chandra Ray. Bose chose mixed (applied) mathematics for his BSc and passed the examinations standing first in 1913 and again stood first in the MSc mixed mathematics exam in 1915. 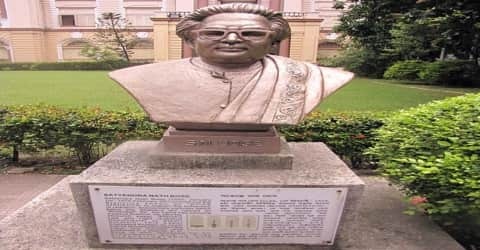 It is said that his marks in the MSc examination created a new record in the annals of the University of Calcutta, which is yet to be surpassed. He received such high scores on the exams for each degree that not only was he in first standing but, for the latter, he even created a new record in the annals of the University of Calcutta, which has yet to be surpassed. Fellow student Meghnad Saha, who would later work with Bose, came in second standing. Bose joined the University of Calcutta as a research scholar in 1916 and started his studies in the theory of relativity. It was an exciting era in the history of scientific progress. Quantum theory had just appeared on the horizon and important results had started pouring in. In 1914 Satyendra Nath Bose got married to Ushabati when he was 20 years old. The couple had nine children of whom two died in their childhood. Bose served as a lecturer in the physics department of the University of Calcutta from 1916 to 1921. Along with a former classmate, the future astrophysicist Meghnad Saha, he published the English translations of Albert Einstein’s original papers on special and general relativity in 1919. In 1921, he was offered the post of a Reader in the department of physics at the University of Dhaka. There he helped to set up new laboratories to teach advanced courses in science. He wrote a paper in 1924 in which he derived Planck’s quantum radiation law without referencing classical physics which he was able to do by counting states with identical properties. The paper would later prove seminal in creating the field of quantum statistics. Bose sent the paper to Albert Einstein in Germany, and the scientist recognized its importance, translated it into German and submitted it on Bose’s behalf to the prestigious scientific journal Zeitschrift für Physik. The publication led to recognition, and Bose was granted a leave of absence to work in Europe for two years at X-ray and crystallography laboratories, where he worked alongside Einstein and Marie Curie, among others. Bose sent this paper to Albert Einstein who recognized the significance of Bose’s studies and translated the Paper into German. This paper, though just four pages in length were of seminal importance to the new discoveries in the field of physics. Bose and Einstein first came up with the prediction of a state of matter of a dilute gas of bosons and its complex interactions in what came to be known as the Bose-Einstein condensate in 1924-25. While presenting a lecture at the University of Dhaka on the theory of radiation and the ultraviolet catastrophe, Bose intended to show his students that the contemporary theory was inadequate, because it predicted results not in accordance with experimental results. In the process of describing this discrepancy, Bose for the first time took the position that the Maxwell–Boltzmann distribution would not be true for microscopic particles, where fluctuations due to Heisenberg’s uncertainty principle will be significant. Thus he stressed the probability of finding particles in the phase space, each state having volume h3, and discarding the distinct position and momentum of the particles. Bose achieved international recognition when his findings were promoted by Einstein and he got an opportunity to work for two years in European X-Ray and crystallography laboratories. During this time Bose also became acquainted with Louis de Broglie and Marie Curie. After his stay in Europe, Bose returned to the University of Dhaka in 1926. Although he did not have a doctorate, Einstein had recommended he be made a professor, and so Bose was made head of the physics department. But upon his return, Bose did not publish for a significant period of time. According to a July 2012 New York Times article in which Bose is described as the “Father of the ‘God Particle,'” the scientist’s interests wandered into other fields, including philosophy, literature and the Indian independence movement. He published another physics paper in 1937 and in the early 1950s worked on unified field theories. Bose designed equipment himself for an X-ray crystallography laboratory. He set up laboratories and libraries to make the department a center of research in X-ray spectroscopy, X-ray diffraction, magnetic properties of matter, optical spectroscopy, wireless, and unified field theories. He also published an equation of state for real gases with Meghnad Saha. He was also the Dean of the Faculty of Science at Dhaka University until 1945. Einstein instantly saw that Bose’s work was very valuable, although even he did not see its full far-reaching significance at first this took him a few days. Planck’s quantum law actually contained a factor from classical physics: 8πν2/c3. The mixing of classical and quantum theories in one equation had been a perpetual source of discomfort for physicists working in the field. Bose had been able to produce the 8πν2/c3 factor without using classical physics. Instead, the factor arose naturally from the argument that photons with equal energy were indistinguishable from one another. When the partition of India became imminent (1947), he returned to Calcutta and taught there until 1956. He insisted every student design his own equipment using local materials and local technicians. He was made professor emeritus on his retirement. He then became Vice-Chancellor of Visva-Bharati University in Santiniketan. He returned to the University of Calcutta to continue research in nuclear physics and complete earlier works in organic chemistry. In subsequent years, he worked in applied research such as extraction of helium in hot springs of Bakreshwar. At the time of partition, Bose returned to Calcutta where he held the Khaira Chair. He taught at the University of Calcutta till 1956 where he encouraged the students to design their own equipment. Even after his retirement, he continued with his research in nuclear physics. Along with physics, he also researched on organic chemistry, geology, engineering, and other sciences. Several Nobel Prizes were awarded for research related to the concepts of the boson and the Bose-Einstein Condensate. Bose was never awarded a Nobel Prize, despite his work on particle statistics, which clarified the behavior of photons and “opened the door to new ideas on statistics of Microsystems that obey the rules of quantum theory,” according to physicist Jayant Narlikar, who said Bose’s finding was one of the top 10 achievements of 20th-century Indian science. Apart from physics, he did some research in biotechnology and literature (Bengali and English). He made deep studies in chemistry, geology, zoology, anthropology, engineering, and other sciences. Being Bengali, he devoted a lot of time to promoting Bengali as a teaching language, translating scientific papers into it, and promoting the development of the region. In 1937, Rabindranath Tagore dedicated his only book on science, Visva–Parichay, to Satyendra Nath Bose. Bose was honored with title Padma Vibhushan by the Indian Government in 1954. In 1959, he was appointed as the National Professor, the highest honor in the country for a scholar, a position he held for 15 years. Bose also became an adviser to the Council of Scientific and Industrial Research, as well as president of the Indian Physical Society and the National Institute of Science. He was elected general president of the Indian Science Congress and president of the Indian Statistical Institute. In 1958, he became a Fellow of the Royal Society. In 1986, the S.N. Bose National Centre for Basic Sciences was established by an act of Parliament, Government of India, in Salt Lake, Calcutta. Satyendra Nath Bose died at the age of 80 in 1974. He was survived by his wife of 60 years and seven children at the time of his death. Bose’s numerous scientific papers (published from 1918 to 1956) contributed to statistical mechanics, the electromagnetic properties of the ionosphere, the theories of X-ray crystallography and thermoluminescence, and unified field theory. Bose’s Planck’s Law and the Hypothesis of Light Quanta (1924) led Einstein to seek him out for collaboration. Bose is best known for giving the concepts of ‘Boson’, which refers to one of the two classes of particles. His work in quantum physics was further developed by Albert Einstein which laid the foundation for Bose-Einstein statistics and the theory of the Bose-Einstein condensate. Although several Nobel Prizes were awarded for research related to the concepts of the boson, Bose-Einstein statistics and Bose-Einstein condensate, Bose himself was not awarded a Nobel Prize. SN Bose’s work on particle statistics (c. 1922), which clarified the behaviour of photons (the particles of light in an enclosure) and opened the door to new ideas on statistics of Microsystems that obey the rules of quantum theory, was one of the top ten achievements of 20th century Indian science and could be considered in the Nobel Prize class. When Bose himself was once asked that question, he simply replied, “I have got all the recognition I deserve” probably because in the realms of science to which he belonged, what is important is not a Nobel, but whether one’s name will live on in scientific discussions in the decades to come.